Join Dovetail Games at 8pm BST tonight (25th June 2015) live on Twitch. 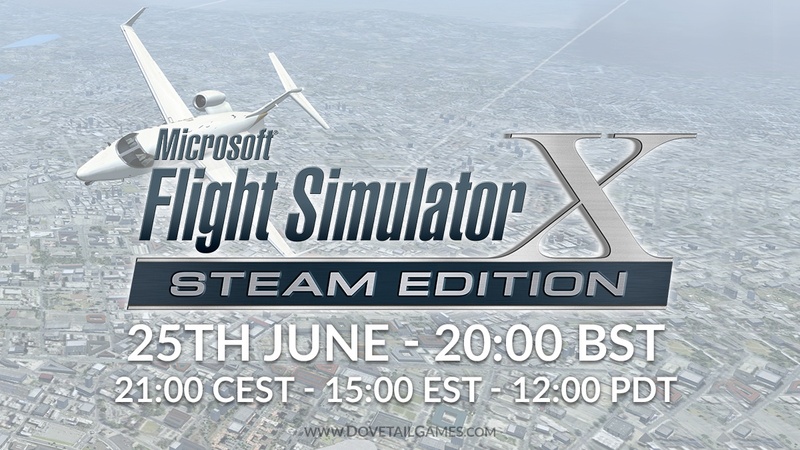 We are excited to announce that during the show we will be taking an exclusive look at the first add-on coming to FSX: Steam Edition from our new developer partner Orbx. Your hosts Martin and Aimee will also be talking about the latest FSX: Steam Edition news and answering your question live on air. Do you have a question you would like us to answer? Let us know in the comments below. Hi everyone! We are pleased to announce that our Dovetail Live Service will soon be integrated into our official websites….